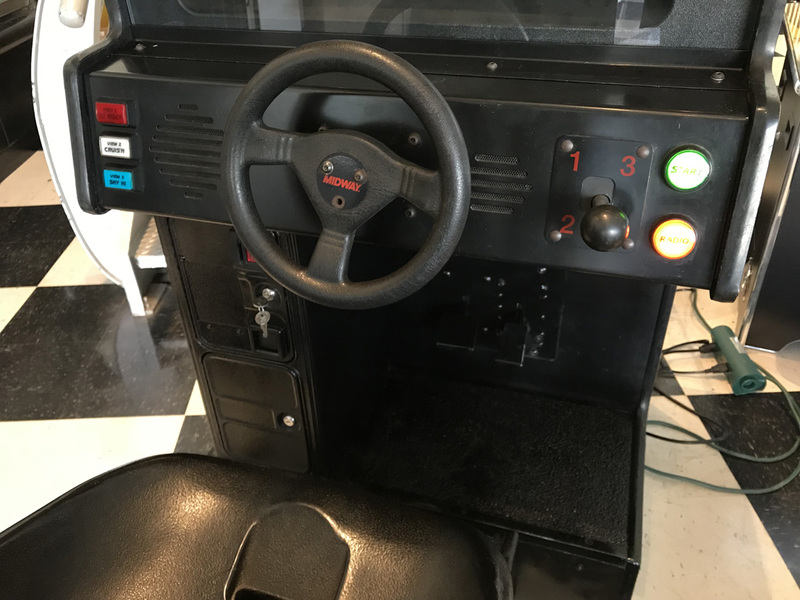 Cruis’n World Arcade Driving Game | Fun! 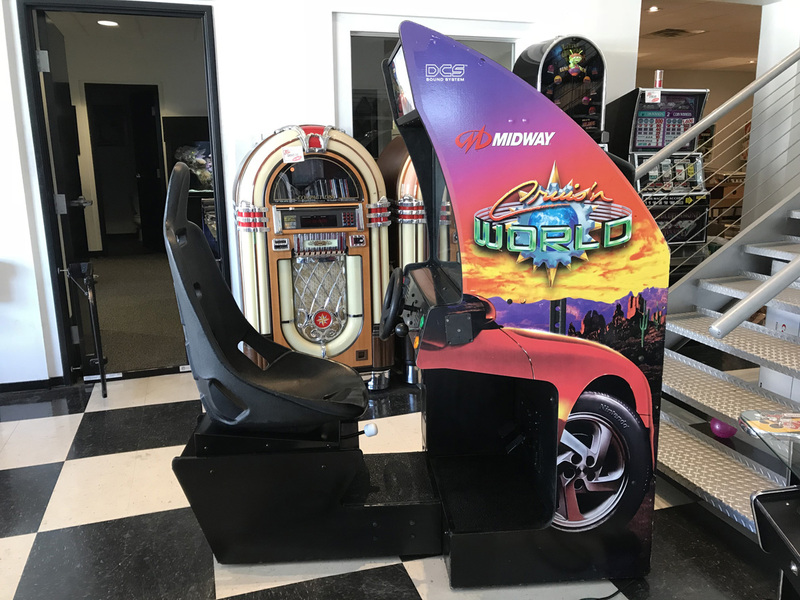 Cruis’n World is the 1996 sequel to the 1994 arcade racer Cruis’n USA. 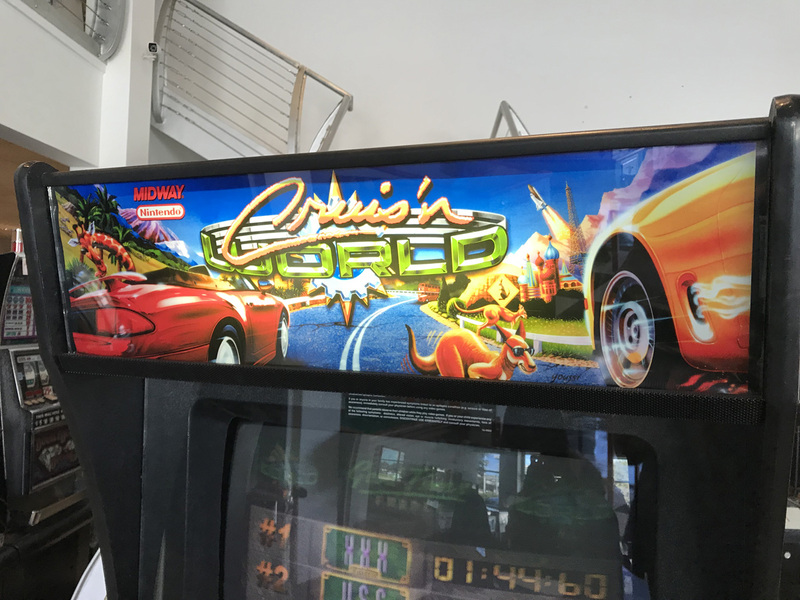 As the title implies, Cruis’n World allows players to race on various tracks around the world. 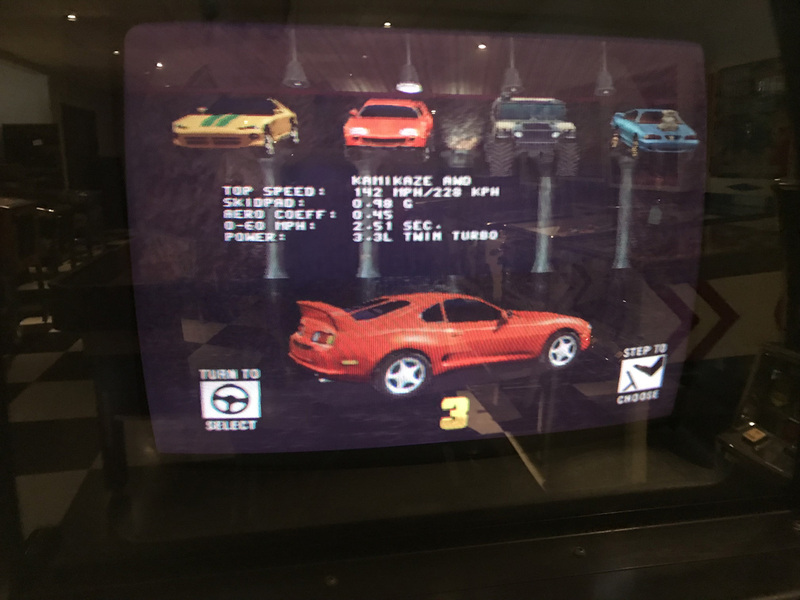 The game also features more cars than Cruis’n USA. 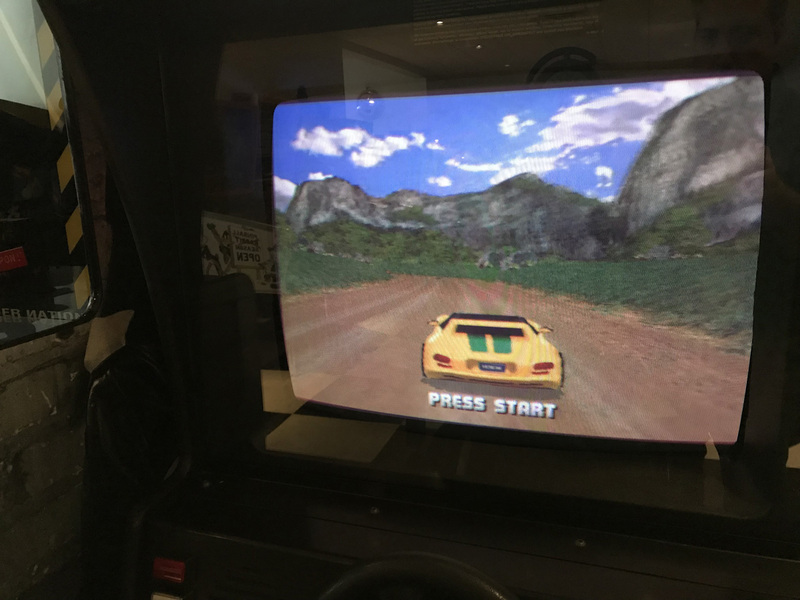 This game introduced stunts to the Cruis’n series. They served to dodge obstacles, take close curves and so. 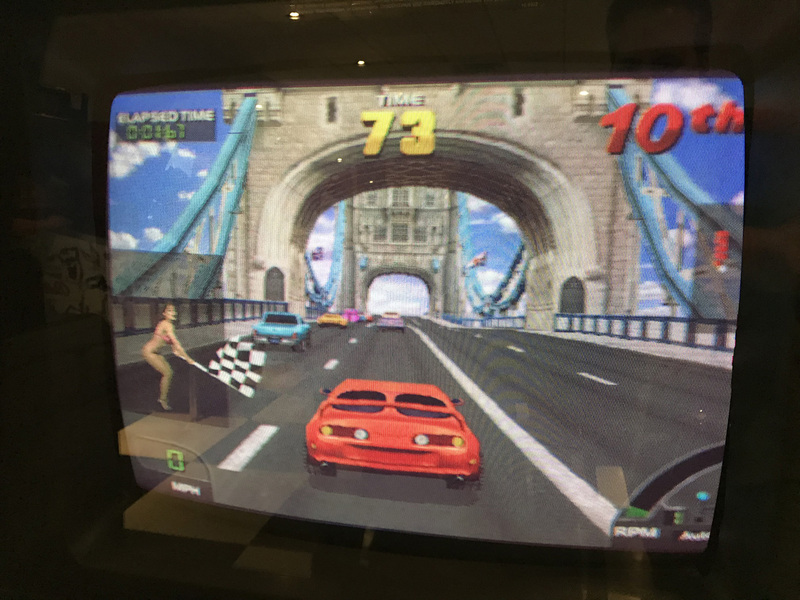 If the stunt makes the vehicle fly in the air, the game gives the player extra seconds of time. The game also uses small rocket boosts to speed up. 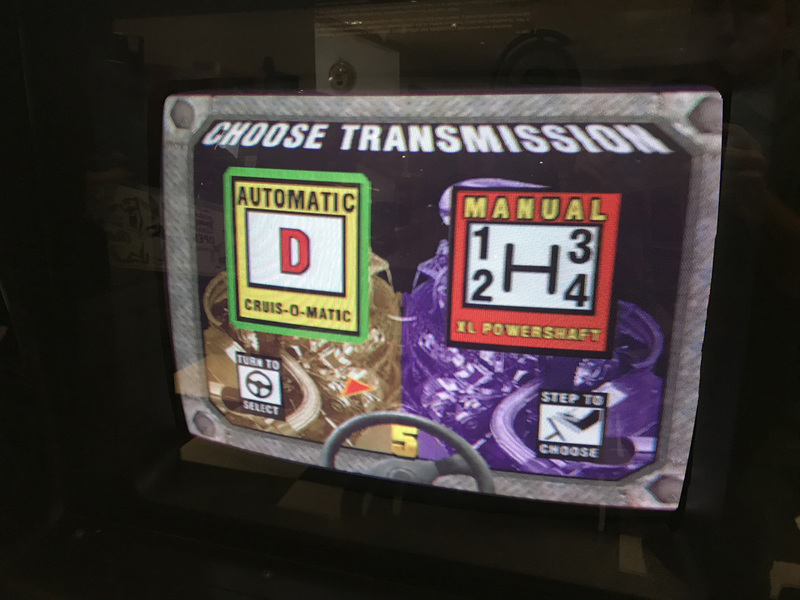 Choose between 8 different vehicles before the start of the race as well as Automatic or Standard Transmission. Although only one unit is offered here for sale, multiple units can be linked together for head to head competition. 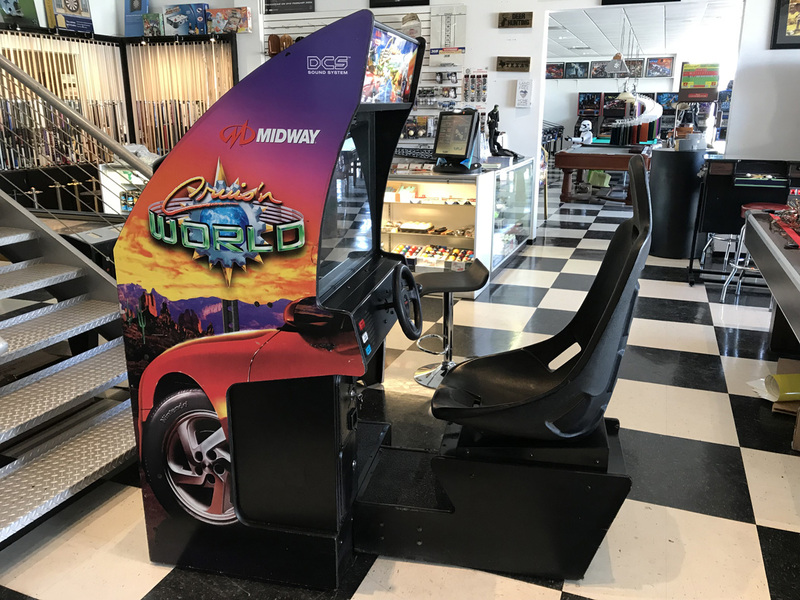 This sitdown arcade driving game is a Cruisn’ USA that has been upgraded to Cruisn’ World. 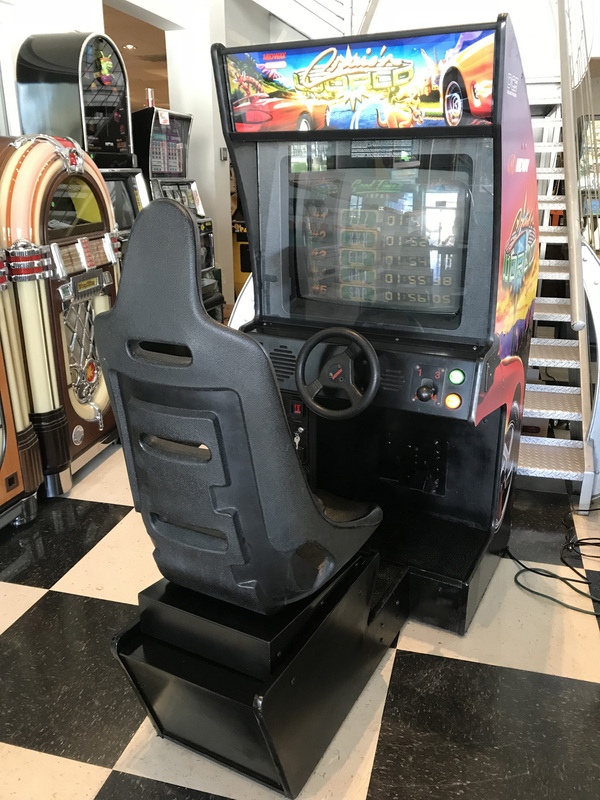 It’s in great shape for its age. 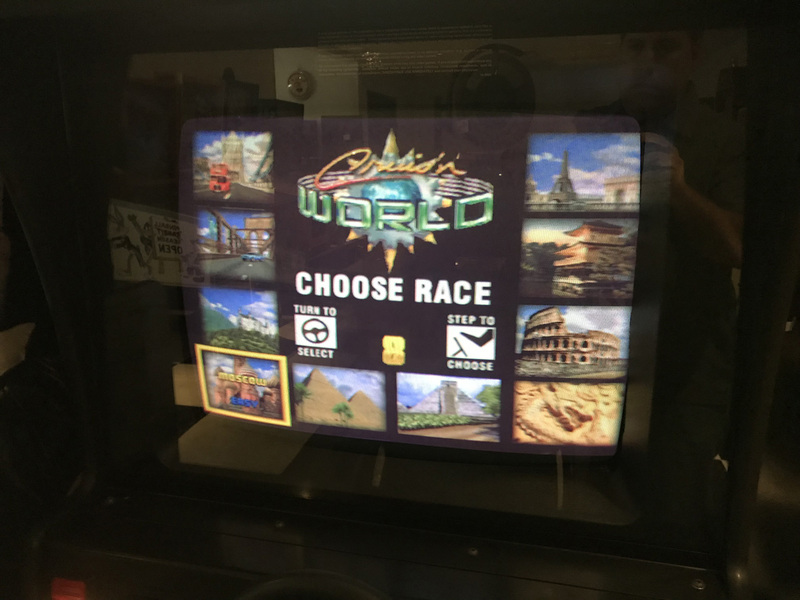 Beautiful crisp picture on the games rebuilt 25″ monitor. Brand new marquee translite installed.